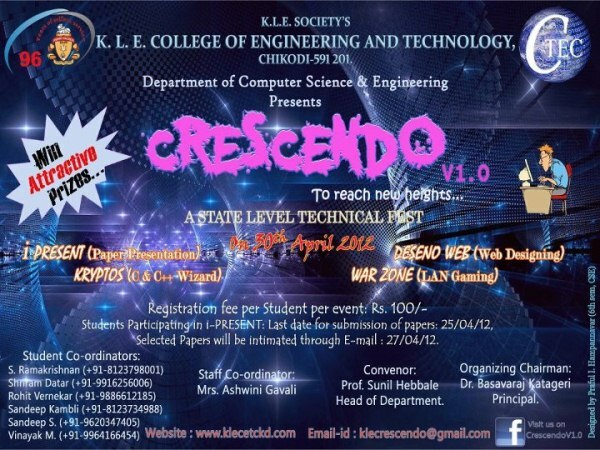 Fest Info: The 1st state level technical fest conducted by the association of computer science dept**C-tec** of klecet click odi….all B.E. undergrads are welcome. Continuous Private Bus Service From Belgaum.